Improving on extant peer-to-peer electronic currencies would heighten their viability as value stores for users and investors with diverse motivations. By building on the proven concepts demonstrated in systems such as Bitcoin, the GoldCoin team proposes a cryptocurrency that addresses critical vulnerabilities, including 51 percent attacks, scaling bottlenecks, transaction fees and ASIC attacks. By using difficulty algorithms, block enhancements, and other programmatic tools to maintain more stable network trends and block generation events, this network tries to compensate for inflationary tendencies and malicious intervention by bad actors. 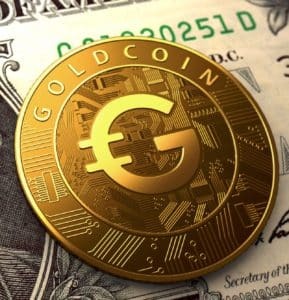 By steering the software implementation forward in the spirit of the philosophies first put forth by Satoshi Nakamoto, GoldCoin sets out to become an invaluable tool for self-guided wealth redistribution in the developing world and wealthier nations alike. Goldcoin is a great name meaning “value” to billions of people Worldwide. Our multi-pool resistant client is innovative and secure with an integrated 51% attack defense system. Goldcoin is a genuinely unique coin, not just another clone. The Goldcoin Telegram Group is a great place to learn more about Goldcoin and participate in our growing community!